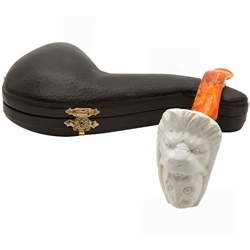 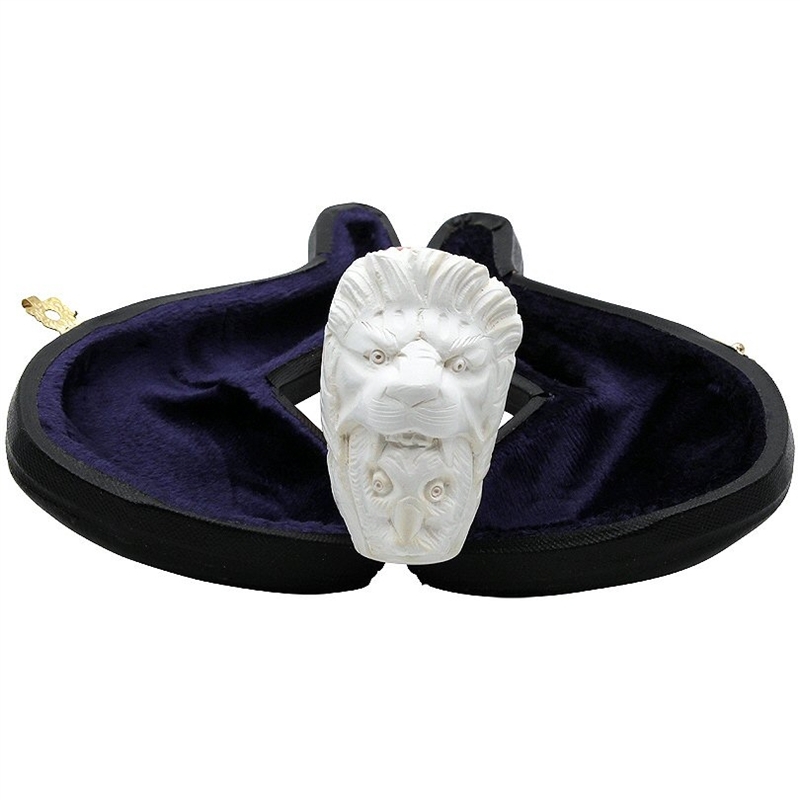 Hand Carved Double Head Lion and Owl Meerschaum Pipe - Interesting pipe design carved by an apprentice of a lion head over an owl head. The double head makes for an extra deep pipe bowl. 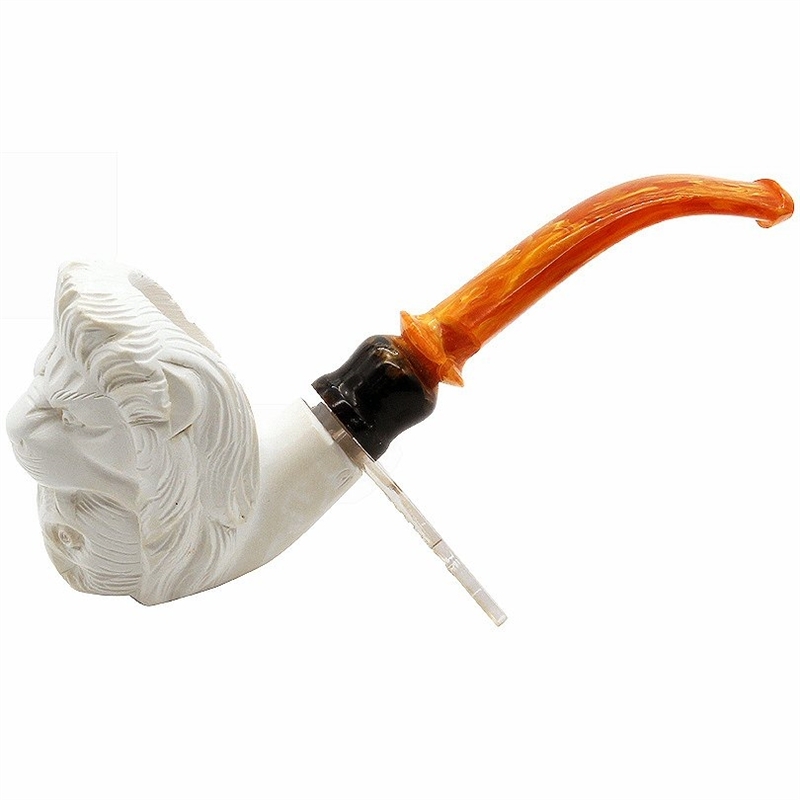 An unusual designer stem has a dark band where it fits into the shank.